When it comes to a positive and healthy activity for your child, look no further than martial arts. 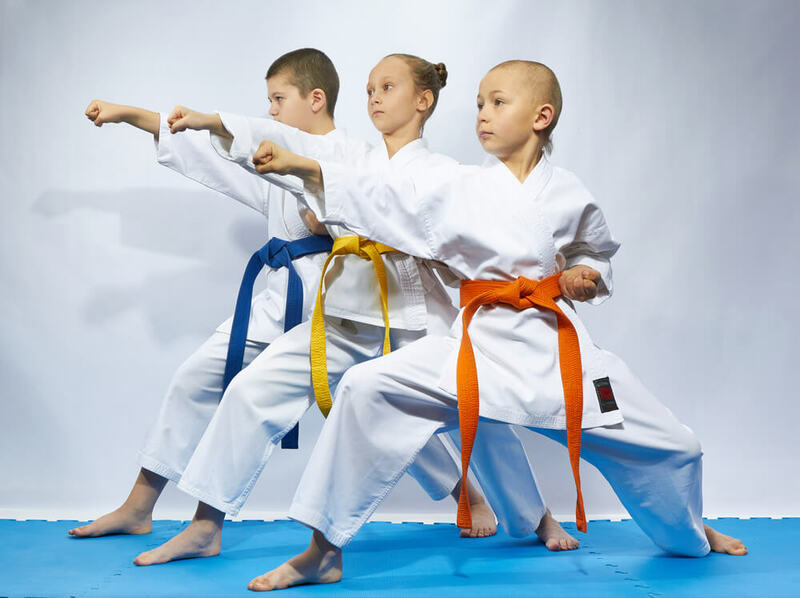 This is a great activity for kids, especially if they become involved in a martial arts discipline that matches both their interests and their personality. There are many practices out there to take into consideration, all of them offering different elements for kids to learn. Here, we lay out five practices to consider, with the help of Journey Brazilian Jiu Jitsu Academy, which offers martial arts kids classes in Madison, WI. According to Jared Bilski of Fatherly.com, there is one question you should consider: “What do you hope your child gets out of the whole thing?” Keep this in mind when considering all the options for martial arts. There are many practices out there to choose from. Here are some of the most popular and effective martial arts disciplines to consider. Karate: This is one of the most studied discipline of martial arts in the world. Students are taught to incorporate karate into their way of life. There is an emphasis on the self, not so much on the opponent. This discipline is especially great for kids who are interested in striking techniques with hands and feet. There is a focus on happiness and living a balanced life. Activity is the primary area of concentration with karate. Tae Kwon Do: This is another of the most popular disciplines of all the martial arts. In this discipline, the attacks include punches, kicks and throws. This is a great well-rounded martial art for kids. There are a lot of opportunities for competition, so this is a great option for kids who are competitive. Kung Fu: The focus in this discipline is on balance and relaxation. Kung fu also relies on upper body movement, which makes this perfect for kids who tend to struggle with kicks. The practice is mainly centered on concentration and balance. Judo: This discipline of martial arts is more focused on throws that involve timing and being able to control your opponent’s weight. This is perfect for kids who want to learn throws, as well as defensive moves, as this is a high priority in Judo. Brazilian Jiu Jitsu focuses on your natural instincts and works on the ground, making it a good overall option for kids to learn. There are also several other reasons why it is the best overall options for kids. It’s an Equalizer: This practice uses things such as leverage and physics to overcome both size and strength. The stronger you become, the better your technique will become. It also allows kids to gain confidence because they can see the progression of their skills. Requires Physical Fitness: To perform Brazilian Jiu Jitsu, it requires full body strength and functionality, making it a great way to promote physical fitness for kids. Helps to Prevent Bullying: With the confidence that kids build in this practice, they feel more empowered and more able to defend themselves. This allows them to walk around with confidence and be less susceptible to bullies. Brazilian Jiu Jitsu comes with results that will give kids the confidence that they deserve and allows then to strengthen not only their bodies, but their minds as well. Giving kids the chance to believe in themselves is why out of all the martial arts practices, it’s the best and most well-rounded discipline and appeals to the largest range of kids. Whichever discipline of martial arts you choose for you child, know that it is a great character builder and brings about a well-roundness to your child and their inner self. There are many positives that will be gained through thorough and prolonged practice, such as increased concentration, self-confidence, and self-discipline, as well as learning kindness and honesty through their practice. A nice thing about martial arts is you don’t have to make a big commitment right away. You can sample some different classes and see what fits your kid best. Maybe it is Brazilian Jiu Jitsu, but maybe it’s karate instead. Become involved and try out a few studios and disciplines first to see what works best for your child and their needs. Marital arts is a great way for your child to develop a commitment to their inner selves and to learn self-discipline and confidence, which can be learned from any of these practices, whether it be karate, tae kwon do, kung fu, judo or Brazilian Jiu Jitsu. What Is the Best Meat Slicer to Buy? Can Dents in a Garage Door Be Repaired?